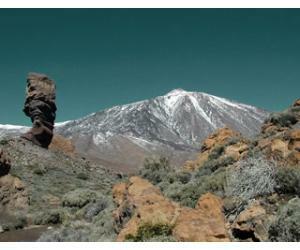 Gran Canaria is known by many as a "Miniature continent", due to its diverse climate and landscape, that varies depending on where exactly you are on the island. You can go from the endless dunes of Maspalomas to the busy capital of Las Palmas de Gran Canaria in just under an hour, for a completely different image of the island and a totally different vibe. Gran Canaria is large enough that you can stay for weeks and even months and still discover new places to go and see, but it's still small enough that you can easily get around by bus or by car without spending so much time on the road. 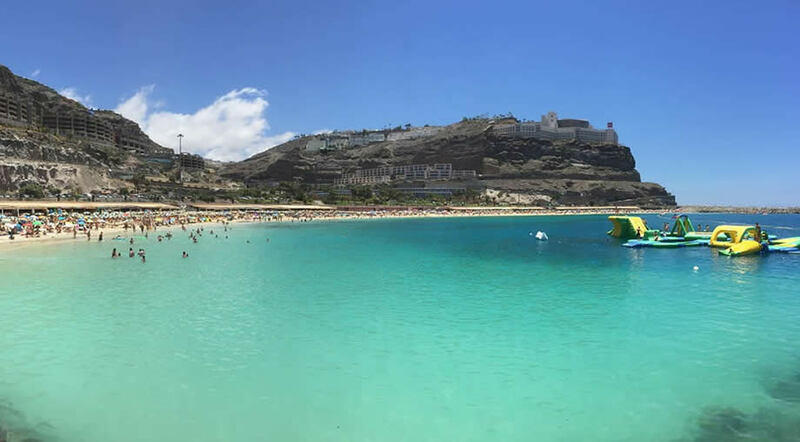 For beach lovers you have some amazing hidden gems like Playa de Guigui and also fully developed beaches, with all the facilities, like Playa Amadores. GET YOUR 34€ AIRBNB COUPON CODE NOW! If you create a new account you can get up to 34€ Free Travel Credit on Airbnb. Just click below and Sign up on the Airbnb website. Once you've created your new account you are ready to go and the credit will be automatically applied to your first reservation with a total of more than 69€. Most of the resorts are situated in the South of the island, where the weather is constantly good all year round and you can make the most of this island's subtropical climate. The north and center of the island do gen a bit more hours of rain, but they are more green and vibrant and offer more hiking opportunities, so it depends on what you are looking for from your holiday. The good thing about Gran Canaria is that it has something for everyone and every taste, from luxury hotels, to all inclusive hotels oriented towards families, but there are also quiet and relaxed places to stay in Gran Canaria, like the valley of Agaete or San Agustin. You can even opt for a private apartment rental or an Airbnb, which have become a pretty popular alternative to the big hotels. If you're looking for a self catering holiday in Gran Canaria, these can be a better option for you, since the prices are usually better and with an apartment you do get a full kitchen, where you can whip up a quick breakfast in the morning if you want to save more money. Our guide on where to stay in Gran Canaria is meant to show you the different areas on the island that you can choose, depending on the type of holiday that you desire. Once you've decided on where you want to be on the island, you can start looking for hotels or apartments that match your needs, but since you will have narrowed down on an area, it will be a much easier task to find what you are looking for. Many people are searching to find the best resort in Gran Canaria, but this depends on whether you want a party holiday or a lazy and quiet holiday, as the island has something for everyone and some places can also bring together the best of both worlds. Playa del Ingles is for sure the liveliest resort in Gran Canaria and the best choice if you are into partying all night long.There are lots of bars and concerts and events all year long, with the Yumbo center being a popular place for those who want to party until morning hours. 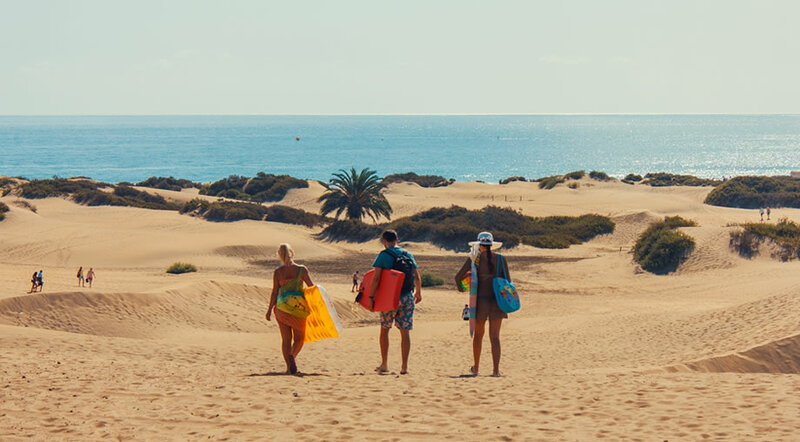 From Playa del Ingles you are also very close to Maspalomas and San Agustin, so there's lots to explore during the day, within immediate reach from where you are staying. Playa del Ingles is also popular for gay tourism, with lots of events taking place here during the year, like the Maspalomas Gay Pride or the Dunas Festival. The are is a mix of all cultures and nationalities, with tourists coming during these events from all over the world, even Australia or the USA. Water sports are also very popular in Playa del Ingles, well known as a good place for surfing, windsurfing & kitesurfing. The Aqualand Water Park is also located here and it's a great day out especially for families, with lots of rides to enjoy for all ages. In terms of shopping in Playa del Ingles, you have several commercial centers like Centro Comercial Tropical and Centro Comercial Anexo II. You could also get here to grab a quick bite to eat, at one of the cafes and restaurants around the shops. For a more local experience, you can try going to the San Fernando market, which is just a short taxi ride away from Playa del Ingles. There are many great hotels in Playa del Ingles, like the Barcelo Occidental Margaritas, with amazing pools and gardens, which will ensure an unforgettable experience. There are also lots of budget hotels or private apartments and even gay men only hotels, so you can really choose something that will make your holiday great. 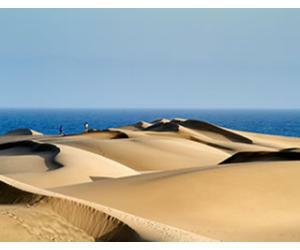 Maspalomas is famous for the incredible natural surroundings and the natural reserve of the Dunes of Maspalomas, from where you can walk towards Playa del Ingles or towards the lighthouse, called El Faro de Maspalomas, which makes for a very photogenic place on the island. Maspalomas is a worldwide popular destination for LGBT tourism, due to its proximity to Playa del Ingles and the Yumbo center. 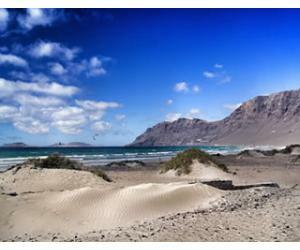 The central point of the place are the dunes, with kilometers of golden sand to enjoy a private day on the beach. 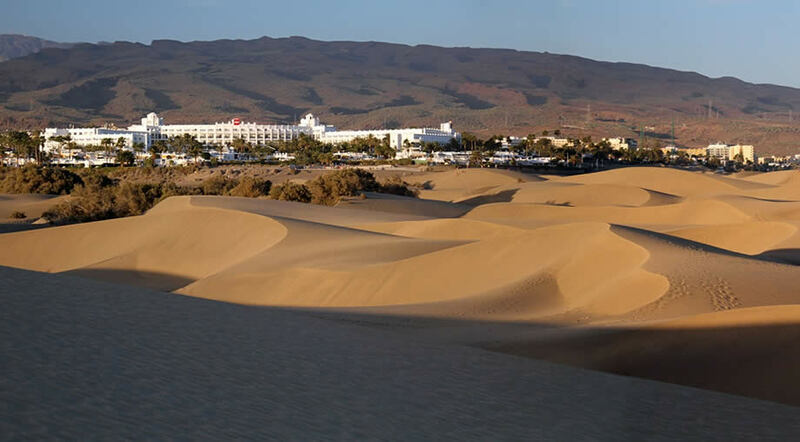 You can read more on our article about the Maspalomas Sand Dunes, but this is a favorite place for birdwatchers as well, so it should not be missed even if you are not staying in this part of the island. If you are here on a family holiday, you may want to visit Palmitos Park, which is great for a day of exploration with the kids, who will enjoy seeing the animals and the shows. The promenade between Maspalomas and Meloneras also offers a great place to walk in the evening and enjoy the views, plus you will find many restaurants and shops along the way. We recommend the popular Club Hotel RIU, with the All inclusive option which is great for families with kids and also the H10 Playa Meloneras Palace, which is situated next to Maspalomas. Puerto Rico is ideal for families due to the large number of family oriented hotels and plenty of restaurants where you can try the local cuisine. The resort has easy access to 2 great beaches, Puerto Rico Beach and Playa Amadores. With clean and calm waters, these are ideal for kids and for days of chilling in the sun. Puerto Rico is the ideal choice if you want a chilled holiday in the sun, with everything you need close by. Both beaches - Puerto Rico and Amadores are close to bars and restaurants, there are plenty of facilities like sunbeds, parasols and even lifeguards on site. If you want all the comfort that a resort can provide, then this is the best place for you in Gran Canaria. From Puerto Rico it is easy to get to Arguineguin, a fishing village where lots of locals still live and you can get a sense of the local atmosphere. On Fridays you can make a short trip to Mogan and visit the popular market, where tourists come from all over the island. There are lots of boat trips or fishing trips that you can do from Puerto Rico and for the kids the resort has plenty of activities to offer, from mini golf courses to an Angry Birds Activity Park, that guarantees a few hours of fun for the kids. The best place is the Puerto Rico Shopping Center, which is right in the heart of the action. Las Olas Shopping Center is more in the quiet side near Agua la Perra. Besides shops you can also find great steak restaurants, so it's a nice choice for a laid back evening. Gloria Palace Hotel Royal is a family friendly hotel, one of the most appreciated in this side of Gran Canaria. They have a great pool for kids right next to the infinity pool for adults and it's close to Amadores beach. You could also opt for a private apartment, as there are plenty to choose from, on Airbnb or other specialized websites. Puerto de Mogan is somethimes named the Little Venice of Gran Canaria and the place does have a certain charm, unique on the island. The view of the marina with the many white boats makes for a luxurious atmosphere and everything around, from hotels, shops to restaurants are more upscale compared to the rest of the south. The atmosphere is chilled and relaxed, ideal for a romantic couples holiday in Gran Canaria. The beach is a great place to spend the day. 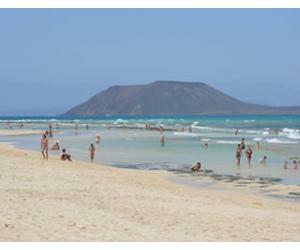 Playa Mogan is quiet and relaxed, with golden sand and clear calm waters, due to the breakwater. It is safe for kids and although there are no sun loungers, you will always find your own private spot, where you can sit and just enjoy the lovely view. If you want to do a bit of walking, we advise you to go up the stairs to Mirador de Mogan and enjoy the full view over the marina. It is lovely, especially in the evenings. 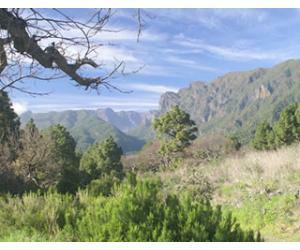 You can also explore more the town's surroundings, starting with the Mogan Ravine (Barranco de Mogan). Puerto de Mogan is a great place to choose if you don't know where to go in Gran Canaria and you want to explore the island, because you have easy access to all of the south towns and resorts, but also the west coast and the center so it's great for day trips and discovering the beauty of the island. The closest shopping center is in Puerto Rico, if you really want to go, but Puerto Mogan hosts one of the island's largest markets on Fridays, when people from all over Gran Canaria come here. At Mercado Mogan (or Mercadillo Mogan) you will find everything, from souvenirs to cheap clothes and even fake handbags and watches, plus food stalls where you can enjoy a bite to eat while watching other people shop. Radisson Blu Hotel & Spa is one of the best luxury hotels in Puerto de Mogan, but you have lots of options to choose from depending on your budget. Hotel THe Mogan also has great reviews from travelers and you could also opt for one of the private apartments with lovely terraces or balconies overlooking the marina. 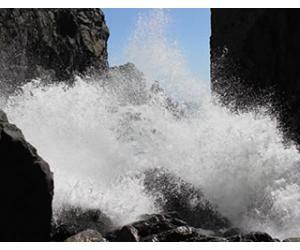 Close both Playa del Ingles and Maspalomas, you will find the small resort of San Agustin. This is a great choice if all you want to do is to relax and maybe pop for one evening in one of the resorts nearby for a night of fun. The Melia Tamarindos Hotel is probably the best choice in San Agustin, offering amazing rooms and quality services, plus a very nice and good restaurant. If you want to see another face of the island and the largest city in the Canary Islands, then Las Palmas is a great choice for a few days. The city of Las Palmas de Gran Canaria is the capital of the Canary Islands, along with Santa Cruz de Tenerife. The city is very modern and vibrant and full of life, so you will see tall building with edgy architecture, along with typical canarian buildings, a mix of styles that is very representative for the city's way of life. 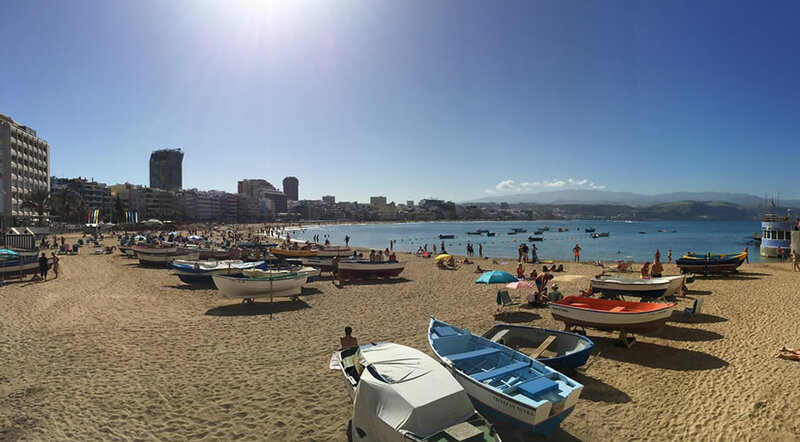 You can fill your days simply by walking through the city, going from the famous beach of Las Canteras to beautiful parks and gardens like the botanical garden - Jardin Canario or the Doramas Park. The city also hosts a few museums, including a Canarian Museum, where you can find out more about the history of these islands and their culture and traditions. In Las Palmas you will some of the best restaurants in Gran Canaria, like El Churrasco, a great steakhouse where you can have a fabulous meal. The largest shopping center in Las Palmas is called Las Arenas and here you will find most of the big brands, the usual that you can find in big shopping malls. On Sundays there is also a flea market at the San Telmo Park, so you should visit if you are there on that day, just to see if you can find something unique and different. There is a great number of hotels in the city, some offering spectacular views, others situated very close to the beach, it just depends on what you are looking for. If you are just staying in the city for a few days you might want to look for something central, so you don't have to use a car or a taxi to move from one place to another. As you've seen already, you have plenty of choices when you're trying to decide on where to stay in Gran Canaria. This islands just has so much to offer, from green and lush landscapes, to fantastic beaches and authentic villages, that still keep the charm from the good old days, when mass tourism hadn't arrived on the island. 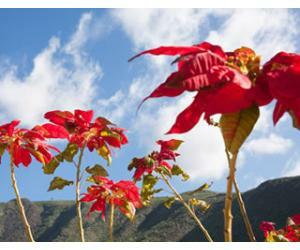 Teror is one of these small towns, situated inland, not far away from the capital of Las Palmas. Here you will find old buildings, with typical canarian architecture and you will be able to enjoy the slow and relaxed life surrounded mostly by locals. The town is made for walking, with mostly pedestrian streets, so if you plan to rent a car, be prepared to have a tough time with parking. From Teror it's easy to explore the capital and the north of the island and it's a nice change from the hustle and bustle of the southern parts like Maspalomas and Playa del Ingles.